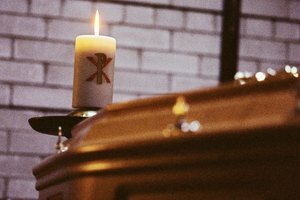 Calling hours, sometimes referred to as funeral visitations, refer to a tradition most common in Catholic and Protestant faiths in which friends and acquaintances gather at a funeral home to view the body and offer condolences to the family. 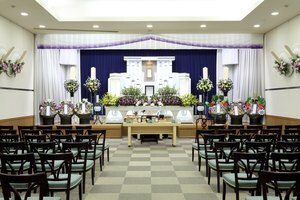 Information about calling hours is often provided in an obituary; you can also call the funeral home for information. It is polite to express your sympathy to the family of the deceased. It is polite to express your sympathy to the family of the deceased in the receiving line. If they don't know who you are, introduce yourself and explain how you knew the deceased. Briefly but sincerely express your sympathy; for example, tell them "I'm so sorry for your loss." Sometimes people share memories of the deceased; if it seems appropriate, offer your own memories. 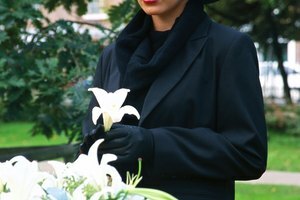 Dress in subdued clothing that shows respect for the deceased. Although it is becoming more popular to wear bright or casual clothing to calling hours and funerals, it is safest to dress in subdued clothing unless you have been instructed otherwise. Black offers a safe option, but any somber, simple colors are fine. The amount of time you stay for calling hours will depend on your closeness to the deceased and their family. It is not necessary to stay for a long time at the calling hours. After you have viewed the body, introduced yourself and offered your condolences, it is appropriate to leave. If you were close to the deceased, however, it is also appropriate to stay longer to spend time with your thoughts. Consider getting a babysitter if the children did not know the deceased. If you decide to bring your children to calling hours, they should be supervised. 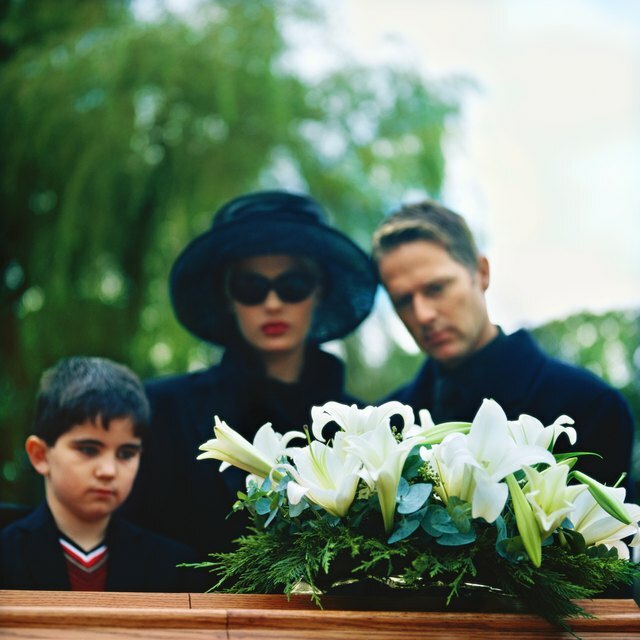 Consider getting a babysitter if the children did not know the deceased. 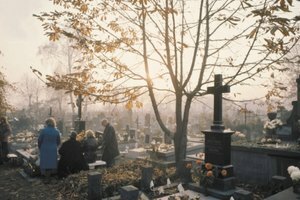 If they had a close relationship with the deceased, however, bringing them to the calling hours and funeral can help them cope with and understand their grief. Explain the purpose of calling hours to children ahead of time so that they know what to expect. Sign the register book at either the calling hours or the funeral. 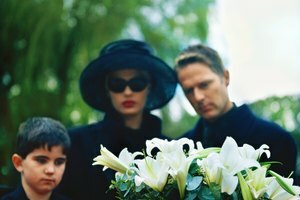 Add your relationship to the deceased--for example, the name of the company you both worked for--if you think the family might not be certain who you are. Turn your cell phone off or leave it in your car. If possible, leave your cell phone in your car while attending calling hours. If you carry it with you, ensure it is turned off. if you must make a phone call, go to the restroom or step outside the building. Richards, Rebekah. "Calling Hours Etiquette." 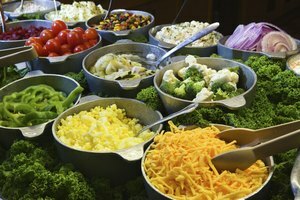 Synonym, https://classroom.synonym.com/calling-hours-etiquette-12080635.html. 29 September 2017.